← My 2010 trip photos: finally complete! This blog has been online for over two years, and in that time I have received many emails from fellow railway enthusiasts asking me for advice regarding things to see and do during their upcoming visits to Hong Kong. As with any frequently asked question, after a while I had settled on a standard set of answers, which I’ve posted here. I’ll start with the non-railway related sights, but you can skip straight to the trains. Hong Kong has more to see and do other than look a trains – here are a short list of the touristy things that I recommend, ordered by how much I enjoyed them. You can find more information about the sights at the regularly updated and reliable “Hong Kong Extras” website. – Catch the Peak Tram to the top. – Head up in the afternoon, and watch the sun go down and the city lights come on. – When I was there, if you have an Octopus Card you can skip the line at the bottom station, and walk straight up to the turnstiles. – You can also get a bus to the top: it’s a bit cheaper but takes longer. The view is different, but not that exciting compared to the tram. 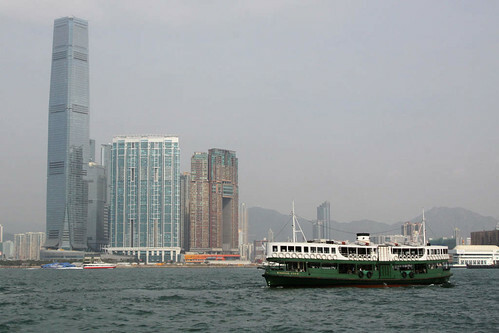 – The Star Ferry crosses Victoria Harbour, which separates Hong Kong Island and Kowloon. – Worth going upper deck one way, lower deck the other – you will see things a bit differently. 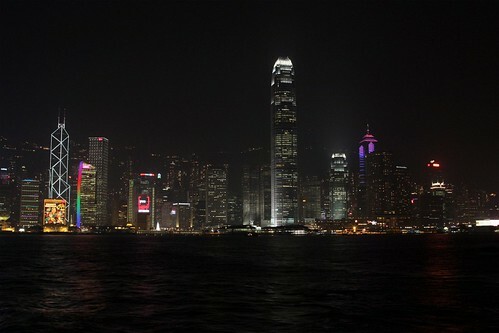 – Catch the Star Ferry to Tsim Sha Tsui, take a right out of the ferry terminal, and follow the promenade. 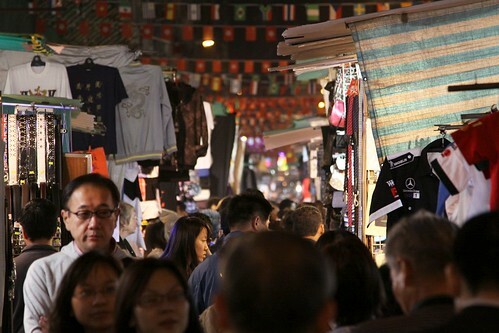 – Kowloon side has plenty of night markets, but they all sell the same stuff, so only need to visit one. – You can take a slow walk from north end of market to the waterfront at Tsim Sha Tsui in an hour or three. – Otherwise start at one end and walk along, then take MTR back to where you started. – Visiting the Big Buddha will take up an entire day. 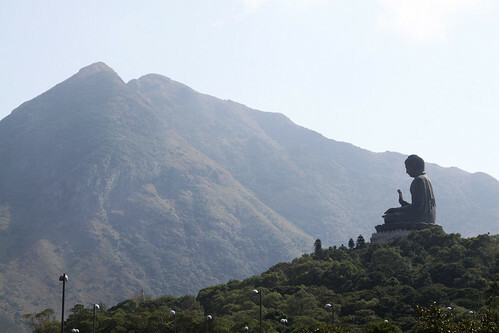 – See the big Budddha statue at the monastery, as well as the sights from the Nyong Ping 360 cable car, and view the Hong Kong International Airport from the hills high above. 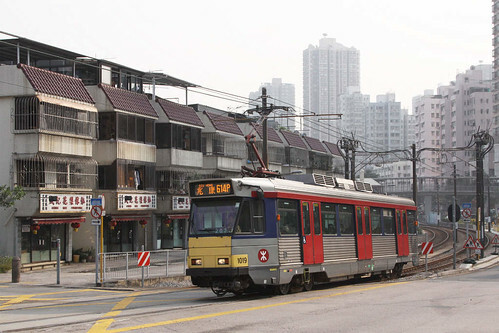 – Take MTR Tung Chung line to Tung Chung and change to the cable car. – The queue to board will be massive in the morning, possibly go in the afternoon then head home just before closing time. – There is also a bus up to Nyong Ping, but takes a while to wind through the mountains. Another destination that will take up an entire day, but it shows a different side of Hong Kong. 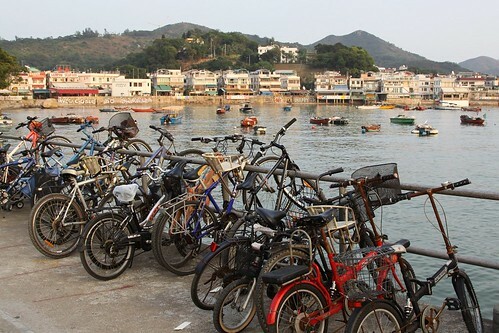 The easiest islands to get to are Cheung Chau or Lamma. – Cheung Chau is the more touristy of the two, but is a holiday resort aimed at Hong Kong locals – lots of restaurants, and you can go walking up in the hills. – Lamma Island is much quieter, a bit more Westernised because lots of foreign workers live there. All three are on south side of Hong Kong Island, and can be reached by bus. – I’ve never visited Aberdeen. Known for fishing boats and the floating seafood restaurants. – To me Stanley is overrated: the market is just the same as all the other markets around Hong Kong, and there isn’t much else there to see or do. – Repulse Bay is just a beach and a temple. I wouldn’t bother with it either. 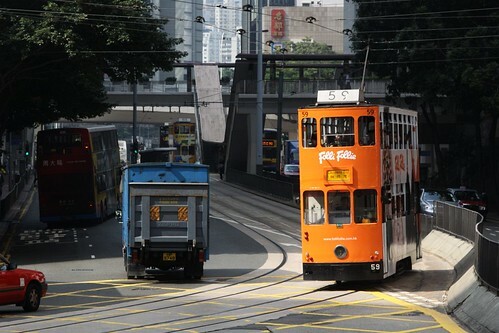 – Runs along the north side of Hong Kong Island, with narrow gauge double deck trams. – The full trip takes 1.5 hours, but unless you have heaps of time it isn’t worth riding end-to-end, as the outer ends of the route are much the same – interchangeable 1960s apartment blocks. – My suggestion: start at Western Market terminus in Sheung Wan and head east to Causeway Bay or Happy Valley, a trip of around 30 minutes. – To ensure you snag the best seat (front row of the upper deck) head to the tram terminus where the empty trams turn around. – Tsuen Wan line from Tsim Sha Tsui, change to Kwun Tong Line via the cross platform interchange at Mong Kok. Change to East Rail at Kowloon Tong. Change to West Rail at Hung Hom. 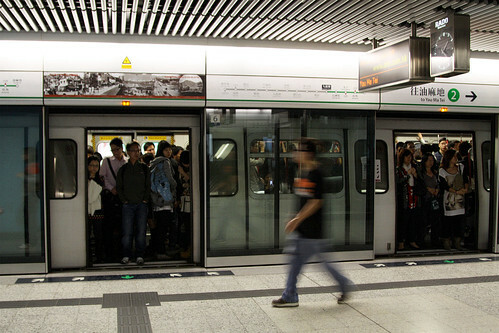 Take train to Tsim Sha Tsui East, where you wander through even more underground subways. – Head along the Island Line between Sheung Wan and Causeway Bay stations, possibly combined with a trip back on the Hong Kong Tramway. Don’t get confused by Chai Wan Station at the other end of the line! – Island Line is mostly bored tunnels, with the platforms being London-style tubes. – Everything else is cut and cover, so the platforms are much bigger. – See those two types of station design, you’ve seen it all! 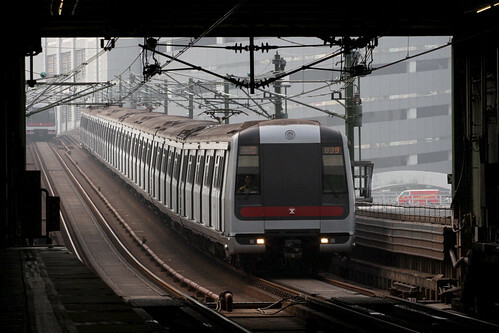 – Trains mostly the same across the network, except for for the MTR East Rail, which runs 12-car long EMUs. – Island Line: Heng Fa Chuen + Chai Wan. – Kwun Tong Line: Kowloon Bay, Ngau Tau Kok, Kwun Tong. – Tsuen Wan Line: Kwai Fong, Kwai Hing, Tsuen Wan. – Entire Ma On Shan and East Rail Lines. – Kwun Tong line from Kowloon Bay to Kwun Tong stations. – Island line at the eastern end. – Majority of the Tung Chung and Airport Express lines. – All of the East Rail and Ma On Shan lines. – New Territories end of the West Rail line. – The only 100% driverless line of the MTR network. – You can see out the front window of the train due to the lack of staff. 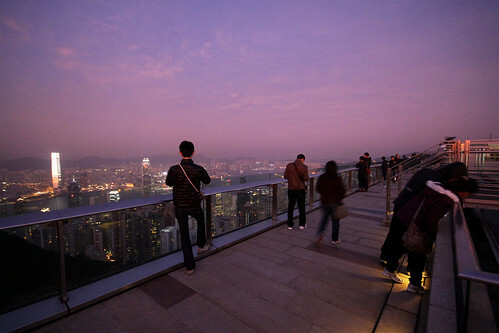 – Located out of the urban area of Hong Kong, it so takes 20 or so min to get out there. – If not going to Disneyland, then you can still do an out and back trip using your Octopus card, and pay nothing much for the privilege. – Try Mong Kok East (not Mong Kok) station to see the intercity trains pass through. – The extreme ends of the platform are the best locations to take photos from, just stand away from the platform edge. – When I was there I didn’t have any trouble with station staff. – Platform announcements will tell you when a ‘non stopping train’ is approaching. – The train timetable is here – ‘Guangzhou East’ is the Chinese end of the trip, and ‘Hung Hom’ is the Hong Kong end. – Trains usually leave Hung Hom on time, with Mong Kok East being 5 minutes down the line. – Southbound trains can be rather late, depending on delays elsewhere. 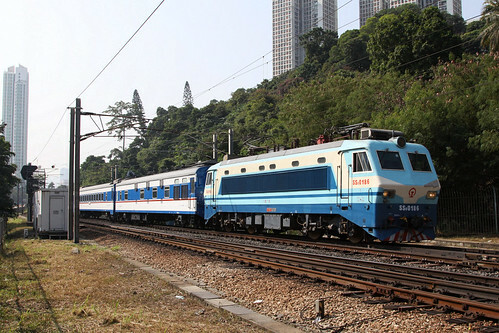 – Services marked ‘Ktt’ use a different double deck train set, but all other services are Chinese stock. – A modern light rail network located in the New Territories. – It operates with a fleet of modern single-directional trams on mostly reserved track. – Catch the MTR West Rail line to get there. – If you’re interested in trams then head out there for a look, but for anyone else it isn’t worth the effort. – Located way out in the New Territories, to get there is a 30 minute train ride, followed by a 15 minute walk. – There isn’t much out there other than a “non-refurbished” TL class, some carriages, and a some informative displays. – If you are only in Hong Kong a few days, it is probably not worth the trip. – Catching the bus into the city is much cheaper than the Airport Express train. – Take the Airport Express train because of the in town check in – drop off your bags at the railway station, and don’t worry about them until you arrive at your destination airport. – Have a look at the automated train in the airport basement when you get there. It runs out the the far end of the gates in one direction, but you can always walk back to your gate if it is in the other part of the terminal. The Octopus card has a 90 minute time limit on train trips. This means if you enter station ‘X’, ride the MTR network without passing through any ticket barriers, then exit at the station next to ‘X’ within the time limit, you only get charged the minimum fare. This trick works well if you want to explore the MTR network without paying through the nose. Just keep in mind that if you take longer than 90 minutes you will be locked inside the station: to get out you’ll need to talk to a customer service officer to be let out, after explaining what station you travelled from and paying the relevant fare. Don’t forget about the “Hong Kong Extras” website when planning your trip – they’ve got details of how to get almost anywhere a tourist would want to go. This entry was posted in Tourism and tagged Hong Kong, photography, railfan, railway, tourist trap, trains. Bookmark the permalink. The time limit inside the MTR network is now 150 minutes. However, if you enter and exit at the same station after 20 minutes, $10 will be deducted, i.e. the suggested route above from Tsim Sha Tsui to East T.S.T. will charge you $10. Thanks for the update Michael – hopefully 2.5 hours is enough time to get from anywhere to anywhere in Hong Kong! The simple workaround might be to return to the station before or after the station you started at.